It’s just the latest bad news for the beleaguered transit system. A few weeks ago, the whole Metro was shut down for over 24 hours so crews could conduct an emergency safety check following a fire. 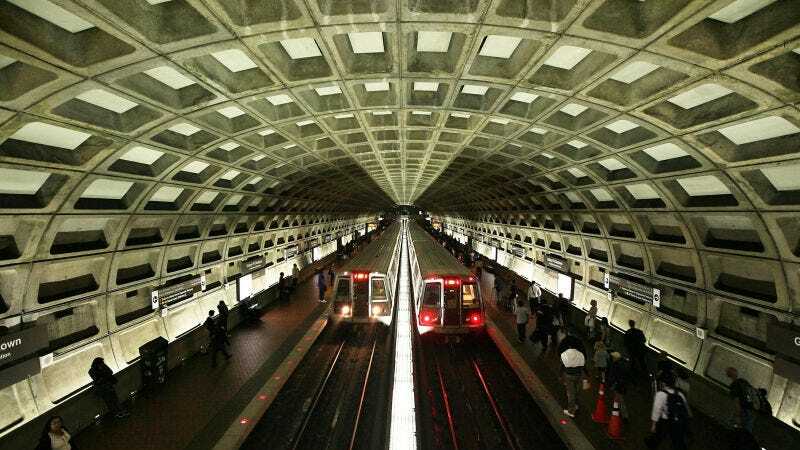 The Washington Post reports that top Metro brass say the system-wide repairs can’t possibly be completed incrementally on weekends and in the three hours the system doesn’t run overnight. “In order to do repairs that are necessary, it may come to the point where we have to close the entire Blue Line for six months. People will go crazy. But there are going to be hard decisions that have to be made in order to get this fixed,” Metro board chairman Jack Evans said at a conference of local leaders attended by the Post. Officials also made a plea for $1 billion of additional funding to get the repairs done. Is any infrastructure fiasco in America really surprising at this point? A couple years ago, a New York State Comptroller report revealed that 90 percent of NYC’s subway stations were also in “dire” need of repair, and the MTA is considering closing the L train tunnel between Manhattan and Brooklyn for years. Meanwhile, San Francisco’s BART system is overcrowded and outdated. It’s a mess. I’ll just wait until I can bypass New York’s own upcoming subway-pocalypse with a high-flying gondola.